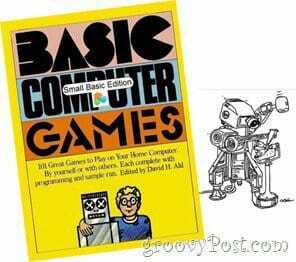 Back in July of 1973, David Ahl changed the programming world by publishing his landmark BASIC programming book for DEC called “101 Basic Computer Games Book“. Five years later David re-published the work as BASIC Computer Games – The Microcomputer Edition. Unlike today, back then you couldn’t just load up steam and download a few games so for many of us old programmers, that meant staying up all night typing in the BASIC games listed out in each of his wonderful books. Oh the joy when everything actually worked! Unfortunately, the microcomputers in the 1970s really didn’t know how to dance and sing because the programs were all character-based and the computers could only beep at us in monotone. Fortunately, David Ahl included some really cool looking robot illustrations by George Beker that helped my imagination on what computers could do perhaps in the not so distant future. For those of “old timers” like me who want to re-experience some of the oldies, you no longer need to dust off your old BASIC programming manual and re-type these classic games into your own computer by yourself. 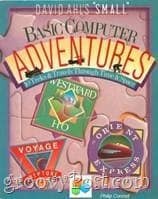 You can just “cut and paste” the new Microsoft Small Basic source code right out of the new Small Basic Computer Games E-Book published by the site ComputerScienceforKids.com. The new E-Book is currently on sale for $12.50 if you grab it over the next few weeks. Philip Conrod, the publisher also re-published another classic David Ahl programming book for kids using Microsoft Small Basic called David Ahl’s Small Basic Computer Adventures. All of David’s classic BASIC Computer Adventure simulations have been updated to Microsoft Small Basic for this new 2010 Edition. The best part about of these new E-books is that you can easily “cut” and “paste the Small Basic source right into your Microsoft Small Basic compiler. If you have never developed computer games in the new Microsoft Small Basic Integrated Development Environment for Kids, Computer Science For Kids is bundling their “Beginning Microsoft Small Basic Tutorial” and their “Programming Kid Games with Microsoft Small Basic” tutorial with the new Small Basic Computer Games E-Book for a discounted price of $39.95. The Beginning Small Basic Programming Tutorial even includes a chapter that shows old BASIC programmers like me how to port our beloved BASIC games into Microsoft Small Basic. The 2010 E-Book also provides you the updated Visual Basic, Visual C# and Java source code to several BASIC Computer Game Book classics like MUGWUMP, EVEN WINS, ACEY DUCEY and LUNAR LANDER… Wow… Lunar Lander, now that takes me back. 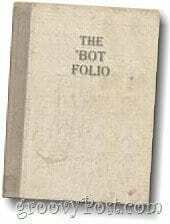 If you never want to program a line of BASIC code again you can still purchase George Beker’s BOT FOLIO E-Book which contains all of George Beker’s iconic robot illustrations from the 1970s Basic Computer Games book and the More Basic Computer Games books. George also added 5 never before seen robot illustrations to the new ‘BOT Folio. These are the first ‘Bot illustrations in over four decades. The ‘BOT Folio includes Beker’s comments on his original ‘BOT drawings and technology in general. It’s clear that Beker remains firmly stuck in a long-gone, alternate world with absolutely no connection to modern technology. You can read more about these Retro Programming E-Books on the Computer Science For Kids’ Small Basic Computer Games or David Ahl’s Small Basic Computer Adventures webpage. I have 12 years of programming experience. My son in now 8 years old, and i have to say that small basic is VERY KID FRIENDLY. If this book contains advice on porting older dialects of BASIC to SmallBasic, it was apparently not used to prepare the source code in the rest of the book. For reasons unknown, this edition is a mutilated, line by line conversion from the 1978 source code into something syntax compatible with SmallBasic which results in longer, less literate material than what they began with. Even a beginning programmer would have produced a better product. I suggest over looking this addition, and seeking out a previous edition.